Proponents of strict voter ID requirements dominated the public comment period Monday at the legislature, and their big concern was verifying the citizenship of those who cast ballots — a sign of the Trump times. The majority of the roughly 30 people who spoke proudly wore red, white and blue stickers declaring “I voted for ID.” They spread false information about immigrants during their two-minute speeches and then high-fived and gave giddy thumb-ups signs to each other. 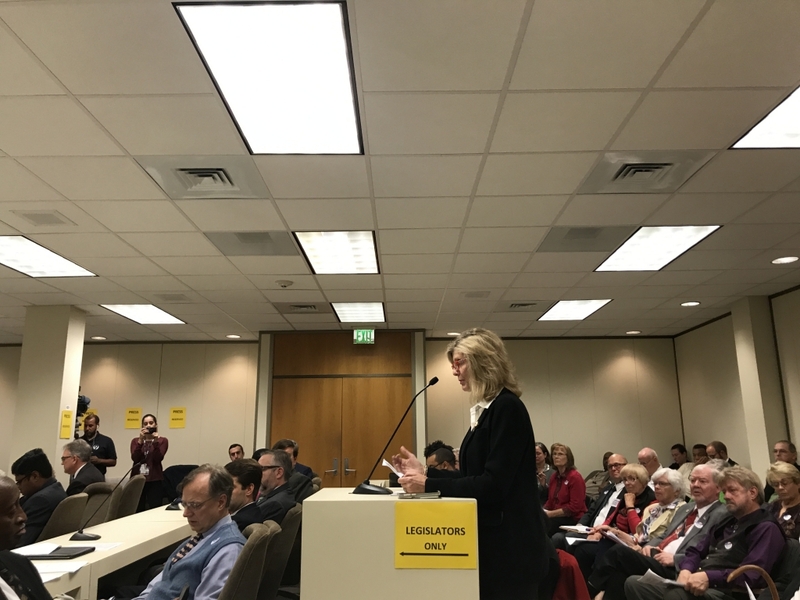 Lawmakers had a joint Elections Oversight Committee meeting to hear from voter ID stakeholders and community members and to discuss a draft bill released last week after North Carolinians voted to enshrine a photo ID law into the state constitution. A REAL ID is a driver’s license that requires people to meet a universal set of federal standards to verify their identity. Temple, who wore one of the stickers, expressed concern about undocumented immigrants voting in elections and indicated that a REAL ID would prevent that from happening. She said that North Carolina was becoming Manhattan and that illegal aliens were draining school and police resources. 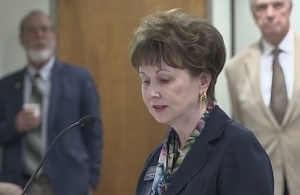 “These problems are coming from illegal voting and illegal entry and not requiring the NC REAL ID to vote,” she added. Other proponents who spoke wanted lawmakers to omit student IDs from the acceptable photo ID provision in the draft legislation, tighten security measures and shorten the eight-year window allotted for temporary voter photo identity cards issued by the county boards of elections. Dillard is the president of the Greater Greensboro Republican Women’s Club. Acceptable forms of ID in the draft voter ID bill that are valid and unexpired would include a state drivers license or DMV identification card, a U.S. passport, a tribal enrollment card issued by a federally or state recognized tribe, a student ID issued by the University of North Carolina school system and a drivers license or photo ID issued by another state if the voter’s registration was within 90 days of the election. The following photo IDs would be able to be used regardless of expiration or issuance dates: a military ID issued by the U.S. government; a veteran’s identification card issued by the U.S. Department of Veterans Affairs; any of the allowed IDs, even if they’re expired, if the voter is at least 70 years old, as long as the ID was unexpired on their 70th birthday. Lawmakers heard presentations from two individuals representing the state’s independent colleges and universities and community colleges about their student ID processes and why they should be included in the acceptable ID provision. Dr. Hope Williams, of NCICU, said their 36 campuses — which include Duke, Elon, Meredith, Catawba and High Point — enroll more than 90,000 students in the state and have a $14.2 billion economic impact. “These cards are much more than just a piece of plastic with just a picture on them,” she said, adding that student IDs are a big part of safety and security, providing access to campus buildings, including residence halls, laboratories and classrooms. Rep. David Lewis (R-Harnett) said at the end of the meeting that he would be more inclined to include more school IDs if there was a uniform way to have them process the student identifications. She said the three main components to their efforts were publicizing requirements to the public, identifying voters lacking a photo ID and assisting any registered voters in obtaining a photo ID. Some lawmakers asked about the cost of the new voter ID bill, but Lewis said there was not yet a fiscal note with the bill. He estimated after the meeting that a starting point would be the $2-3 million Strach mentioned that was spent on voter education the first time around. The North Carolina Budget and Tax Center has estimated the new bill could cost upward of $12 million. A few people also spoke at the hearing who were against the voter ID bill but still made a few suggestions to make it better if implemented. That included making sure elderly voters who do not have good access to IDs are accommodated, increasing funding for the DMV and for more election resources and including more input from residents across the state. 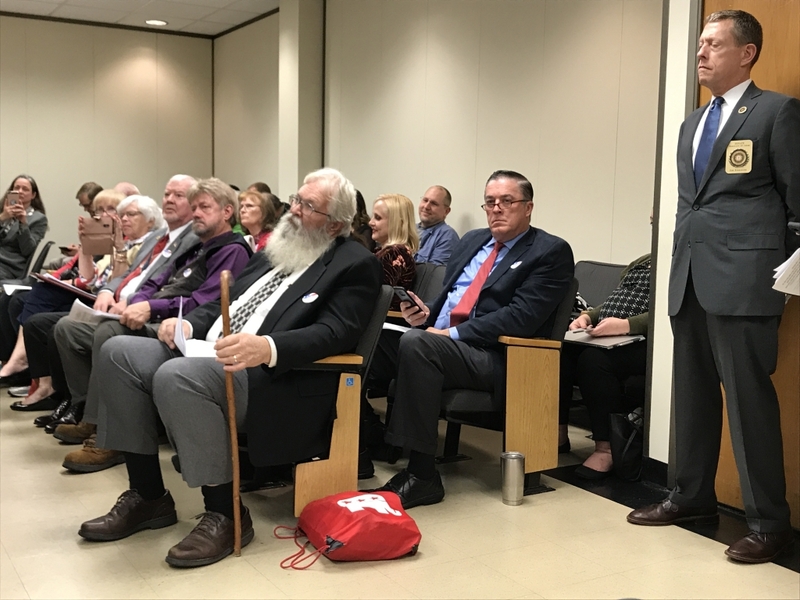 Lewis said after the meeting that there were not any current plans to hold any other hearings in any other parts of the state. He anticipates a voter ID bill will be filed in both the House and Senate tomorrow when the special session resumes.